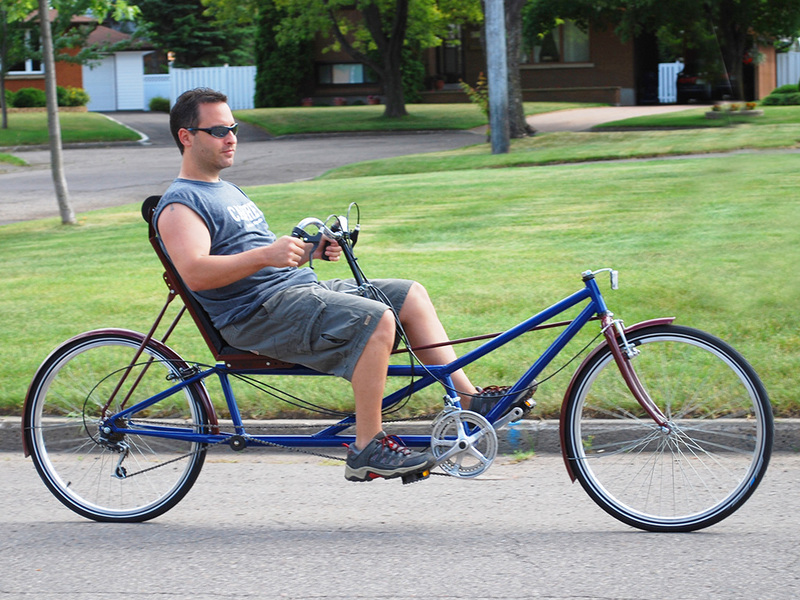 Build Your Own Long Wheelbase Recumbent Bike! The TourMaster long wheelbase recumbent bike is a super smooth running touring bike for those extended commutes across town or an enjoyable country drive. Having an elevated seat height and over seat steering makes this DIY recumbent long wheelbase bike an excellent city rider, as well as a distance touring bike. Once you feel the comfort of a recumbent bike, you will never go back to upright. 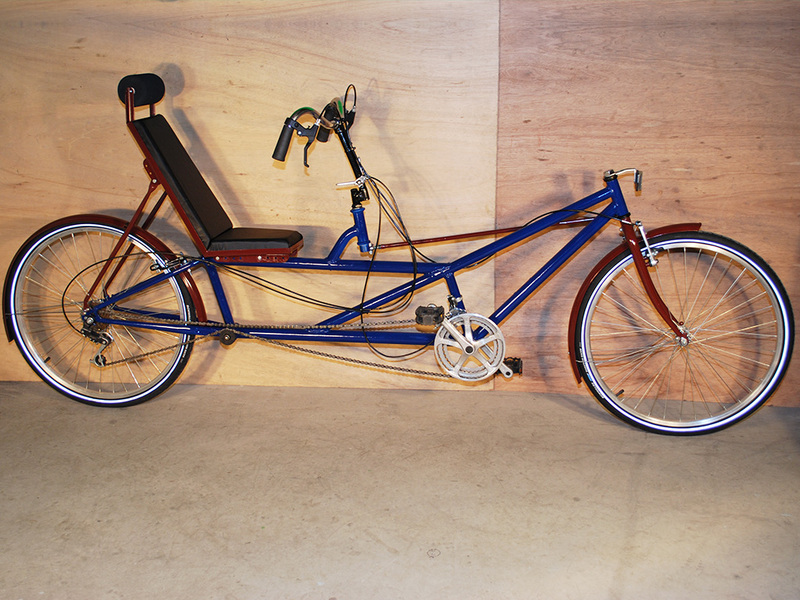 You can build your own DIY long wheelbase recumbent bike using parts taken from an old mountain bike and and extra frame. 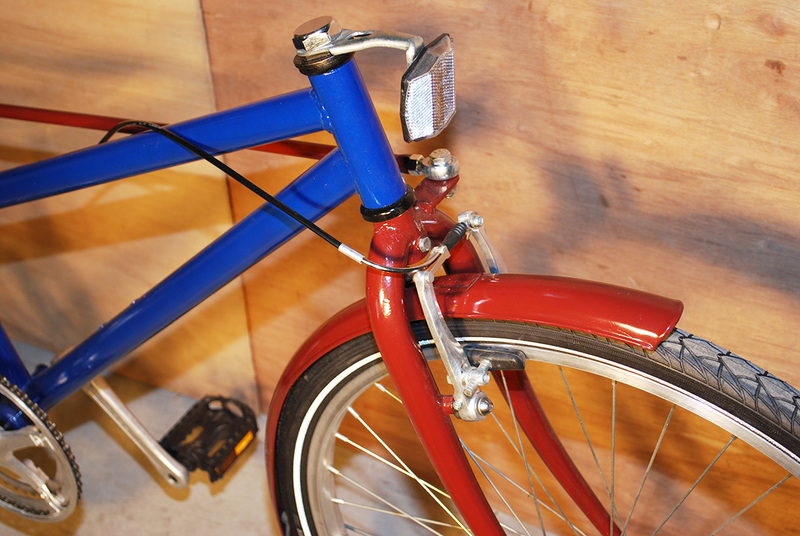 Use basic tools such as a drill and angle grinder to repurpose your old bike pars into something better. Comfortable Full Back Recumbent Seat. A long wheelbase recumbent bike is very easy to ride, especially for those new to the recumbent cycling world. Using only standard bicycle components and tubing, this easy to build DIY recumbent bike can be made by anyone with a minimal set of tools and some inexpensive and common bicycle components. The back rest will allow you to ride comfortable all day long. Enjoy the view ahead as you ride. 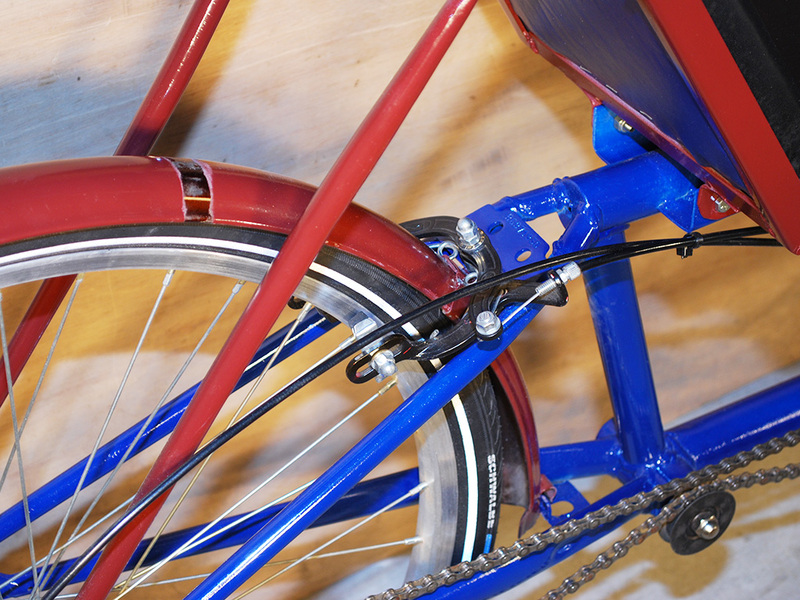 Learn how to chop up a bicycle frame and turn it into something new. 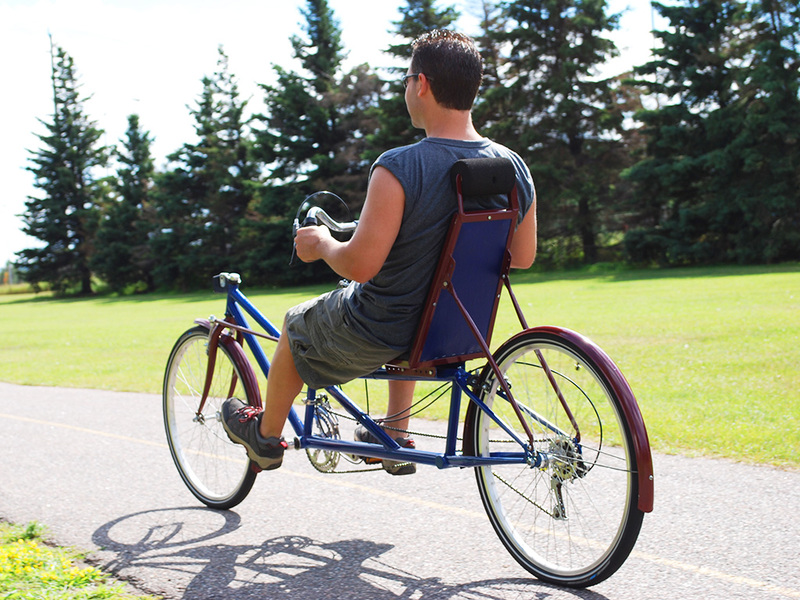 You can use any thin walled steel tubing or bicycle tubing to create your new DIY recumbent bike frame. Never built a bike? No problem, our plans show you how to do everything. Built Using Standard Bicycle Components. Relax and enjoy the view on a comfortable recumbent seat that will not strain your neck or your back, even on the long haul. The seat can be adjusted so that the cranks are in the optimal position for your leg length, and the handlebars are also adjustable. Linked steering means that you can make sharp turns without having to reach outside the seating area, so TourMaster offers predictable control. We are all about recycle and reuse, so the TourMaster bike Plan encourages using the parts you have on hand, as well as salvaging bicycle components from old unused frames when you have them. There is a great pride that comes from DIY! Over Seat Steering For Responsive Control. The over seat handlebars offer optimal control and allow plenty of room for leg clearance, placing all of the levers and shifter in an easy to reach and operate position, much like a regular bicycle. If you have never enjoyed a recumbent bicycle, then this is the perfect bike to start out on as there is no learning curve. The bike is high up enough o live well in city traffic and low enough for you to put both legs down. Wondering what to do with those old bike sitting the the corner of your garage? Well know they can have a purpose. Chop, hack, weld and ride our of your workshop on your home built recumbent bike. 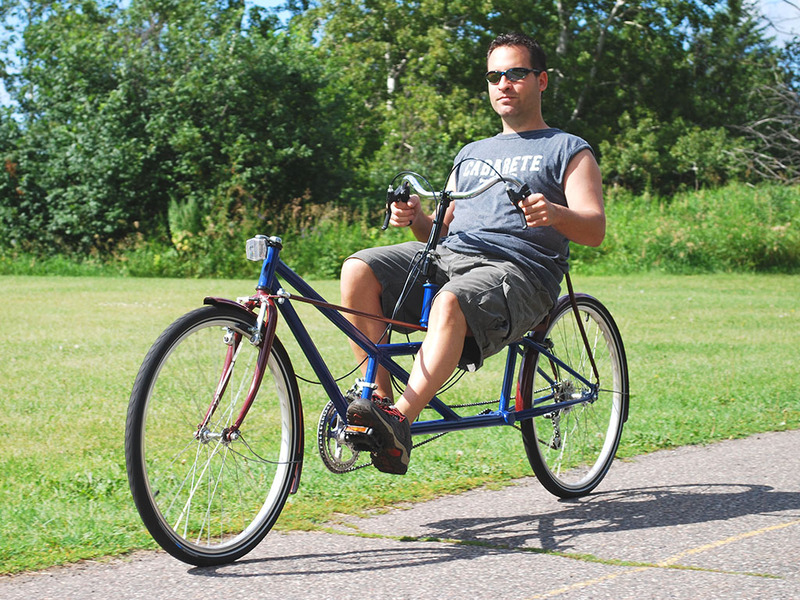 Build a Great Recumbent Bike on a Budget. 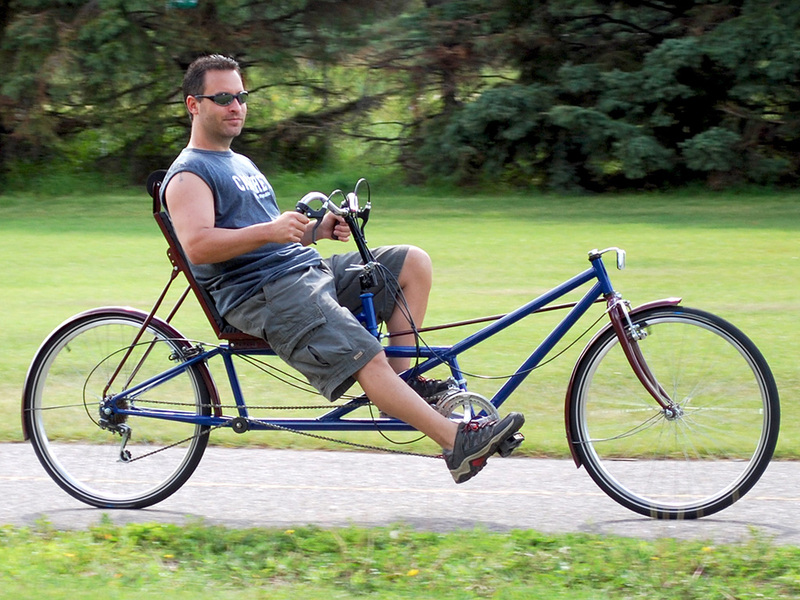 For minimal cost and time, you can create your own home built recumbent long wheelbase bike. Everything is hand made, even the seat, but you can certainly purchase new components as well. Build a comfortable seat from plywood, foam and vinyl covering. With plenty of room on the frame you could install just about any type of seat, like a mesh seat or even something as large as a car seat. It's all about building it the way you want. Build Yours With Any Wheel Size. You can build the TourMaster with 26 inch or 700cc wheel and any number of speeds from 15 to 36 depending on the choice of components. Our DIY recumbent plan will show you every single step in highly detailed photos and text so you can convert that old road bike onto a smooth riding and ultra comfortable touring recumbent bike. The frame can fit riders of any leg length, and offers plenty of cargo space as well. The linked steering system is easy to make using hardware store components and thin walled steel tubing. For less than the cost of a tank of SUV gas, you can be pedalling your way to health on your own DIY recumbent bike. 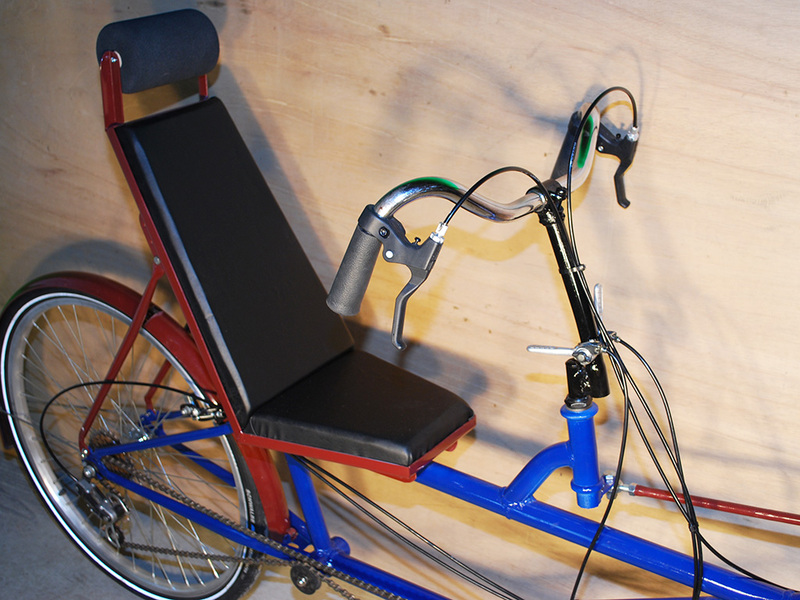 The front and rear of this LWB recumbent bike have the same shape and components as a regular bicycle, so you can affix any of the standard bicycle accessories such as fenders and light. For long commuting, you can also install an electric assist motor, and place the battery neatly behind the seat. There is also plenty of room in the frame or behind the seat for a cargo compartment or saddle bag. The chain routing system keeps your chain high off the ground and free of grit and dirt. You only need a hardware story v-bely pulley to make your chain pickup system. All other transmission components are taken from the original bicycle. Roll Out Of Your Workshop on a DIY recumbent Bike. The TourMaster DIY LWB recumbent bike is a great looking and smooth riding bike for all occasions. For long commutes, the laid back and comfortable seat will allow you to ride for hours free of pain. For city riding, the medium height stance will keep you at eye level to traffic. This is a great project for starting out into the fun world of bike building. No experience is required to build this! There is no point exercising indoors on a stationary bike when you can get out in the fresh air on your own home built recumbent bike. Leave the car at home more often and get there under clean human power. Your legs will thank you.